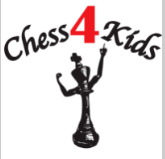 Chess4kids is hosting *FREE* summer chess classes and rated games on the Saturdays of June. The class is thirty minutes long and will teach about multiple aspects of chess. Afterwards, there will be a one hour long rated game. Players who attend should know the basic rules of chess. Playing ALL 4 rated games will count as one OSCF State Championship qualifier.